Location – We’re located just 25 minutes south of Vancouver, WA, and only 20 minutes south of Portland, OR. Selection – Our dealership has hundreds of new and used vehicles for sale, including popular picks like the Ram 1500 and Jeep Grand Cherokee. Service – Drivers from Gresham, OR and beyond count on us for our professional maintenance and repairs, not to mention our friendly sales team and helpful finance staff. 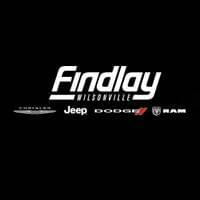 Among car dealers in Wilsonville, OR, Findlay CDJR stands apart from the competition. Follow us to find out the latest developments from Chrysler, Dodge Jeep, and Ram, or apply for financing for a great loan or lease rate right now. Our dealership is located just a short drive from Beaverton, OR, and you can contact us anytime! 0 comment(s) so far on Why Drive Out from Portland to Findlay CDJR?